An orthodontist is a dental specialist who has received two to three years of additional training and experience. Dr. Messingham is able to straighten teeth, correct misaligned jaw structure, and improve the function of your smile. Make sure to use toothpaste that contains fluoride, and ask Dr. Messingham or your family dentist if you need a fluoride rinse. This will help prevent cavities! 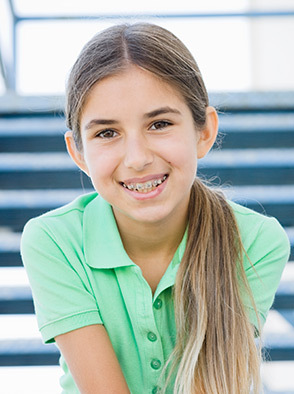 With braces, you should brush your teeth at least three times a day to keep your teeth, gums, and mouth healthy and clean. Brushing regularly will help remove any food that may be caught between them. Yes! In fact, it’s even more important that patients receiving orthodontic treatment visit their dentist regularly. With braces, food may be caught in places your toothbrush can’t reach. This causes bacteria to build up and can lead to cavities, gingivitis, and gum disease. Dr. Messingham will work closely with your dentist to make sure your teeth stay clean and healthy while you’re wearing braces.